Tao is a very special woman and I’ve had the honor of both teaching for and with her, and have had her teachings… The people of the younger generations really have to look at a person like Tao who has weathered so much in her life and has come out the other side of her life still completely pure of Love and Laughter and Light. I want to BE Tao! What she has done, who she is and the light that’s in her eyes… When you say hello to her, she is just so full of Light and Love and mischievousness… I just think she is an inspiration for women and all of mankind. 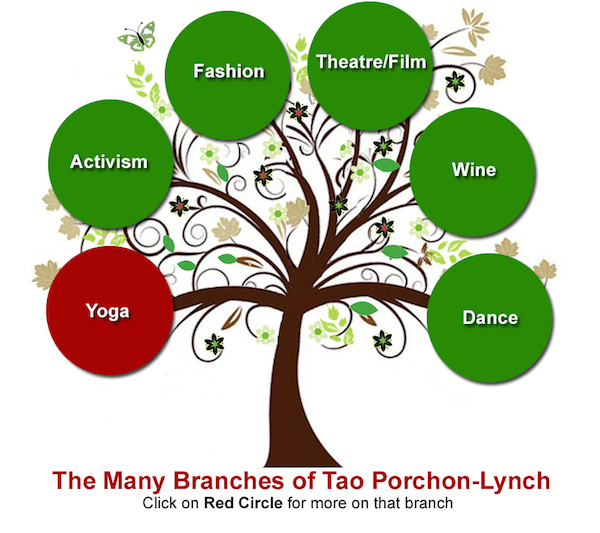 One of the most acclaimed yoga teachers of our century, Tao Porchon-Lynch at 96 years is a mentor to me who embodies the spirit of yoga and is an example of Ageless Body Timeless Mind. Like yoga, she teaches us to let go and to have exquisite awareness in every moment. When I look at her life, I think, “How can one person do it all?” and she says everyone can do it as long as you can harness the power within you! Through her mastery of Yoga and the body mind spirit connection, Tao helps us unbind the limits of our human condition in a most gentle and spirit filled way. She is a gift to us all. This book captures her magic. 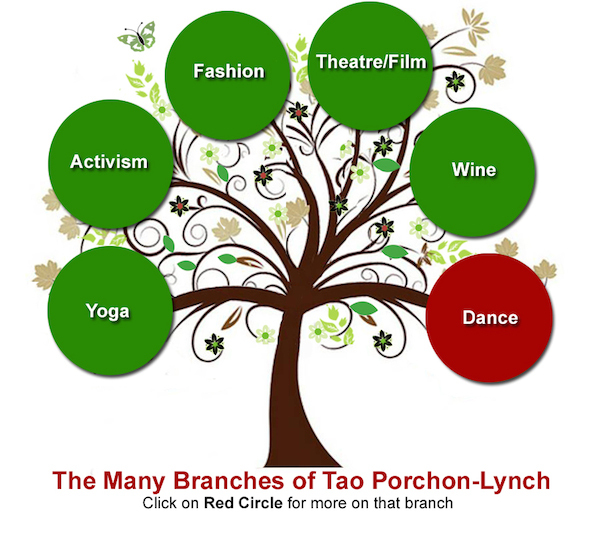 All you have to do is be in Tao Porchon Lynch’s presence to feel the energy of her spirit and the wisdom in her eyes. To have a book which allows us to enter this amazing woman’s life is a gift to us all. She is a living example of how we can all learn to live life to the fullest and to truly live from the heart- mind, body, spirit and soul. She is a precious commodity and we are so lucky to understand who she is and how she became that way! 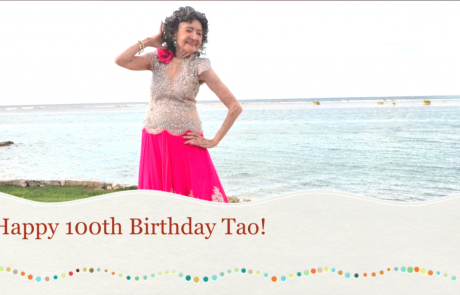 Tao has been a role model to all of us who have been practicing yoga since the early 70’s. 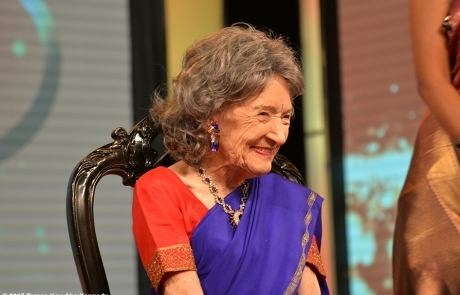 She is a brilliant example of the health and well being that can come with a lifetime of yoga practices. Her grace, compassion, service to the yoga community, and zest for life have inspired me for years, as well as thousands of young souls just stepping on to the yoga path. 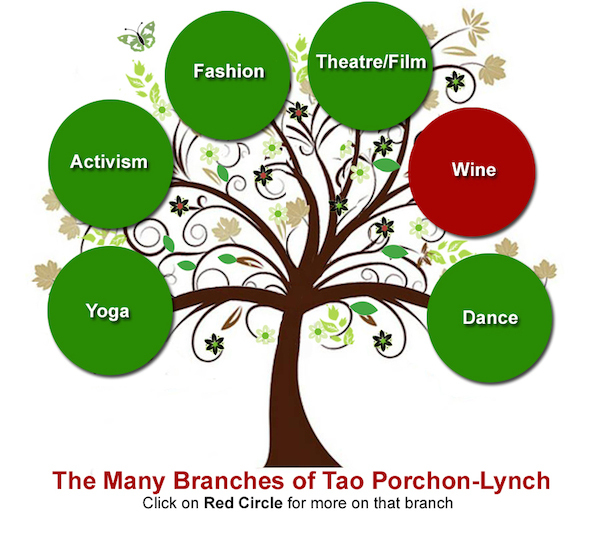 Millions across the globe have been inspired by historical icon Tao Porchon-Lynch–World War II French Resistance fighter, model, actress, film producer, wine connoisseur, ballroom dancer, and yoga master. 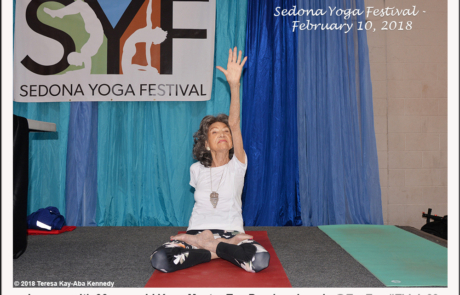 Named “Oldest Yoga Teacher” by Guinness World Records in 2012, Tao exemplifies her mantra: There Is Nothing You Cannot Do. On August 13, 2018, Tao turned 100 years old and birthday messages came in from around the world. Check out the video message from Kelly Ripa and Ryan Seacrest and then watch the full compilation from people like Dr. Deepak Chopra, Arun Gandhi, Yogi Cameron and many more! Dancing Light Wins TEN Book Awards in various categories!! An inspirational story that is a must-read for every yogi, history lover and spiritual seeker. Makes a great gift!! Purchase here. Yoga – In addition to growing up around spiritual giants such as Sri Aurobindo and Mahatma Gandhi, Tao’s teachers are the Who’s Who of the Yoga World from Swami Prahhavananda and The Maharishi to Indra Devi, B.K.S. Iyengar and K. Pattabhi Jois. 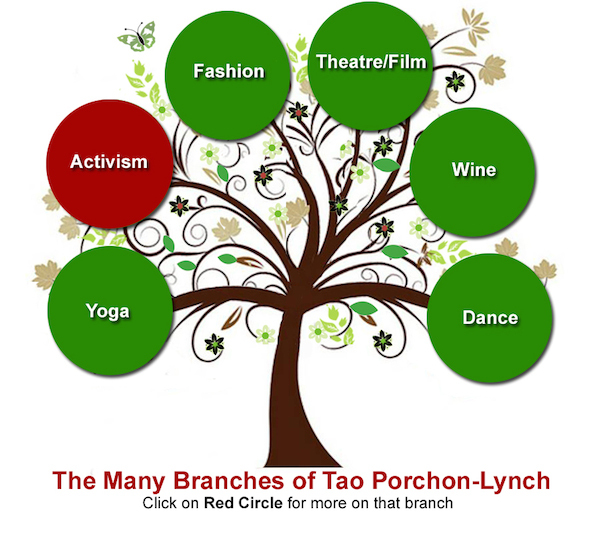 Activism – In addition to marching with Gandhi (twice), Tao worked in the French Resistance under General Charles de Gaulle helping Jews escape the Nazis, and later trained over 2,000 American WACs (Women’s Auxiliary Corps) to entertain U.S. troops. Theatre/Film – Tao performed in theatre and was under contract with MGM – in films with icons such as Elizabeth Taylor and Bob Hope. She also wrote and produced, and was early in international film distribution. Wine – Tao is a wine connoisseur. She published Beverage Communicator – one of the first three wine appreciation newspapers in the U.S. – and was a co-founder of the American Wine Society. Dance – At age 87, Tao became a ballroom dancer and has won over 700 First Place Awards with dance partners 70 years her junior. 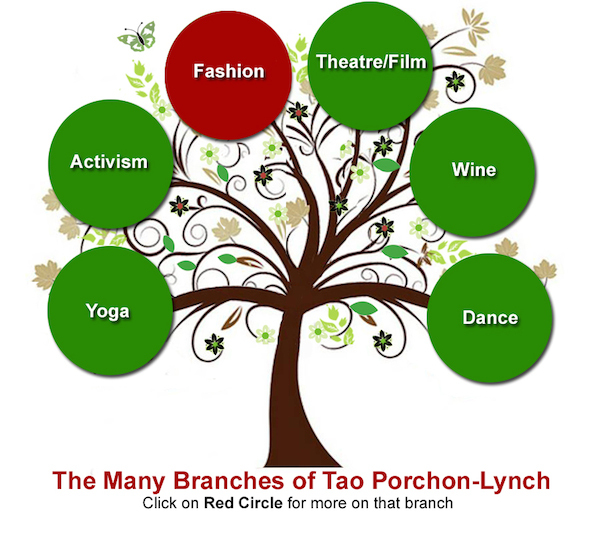 Follow Power Living’s board The Tao Experience on Pinterest.